Grilling is a combination of art and science. The art part is easy… trying unique items, creating grilled side dishes, and even making desserts on the grill is fun and exciting. But, it’s the science of grilling that’s most important. Grill preparation, temperature and cooking technique all affect the flavor of your food. 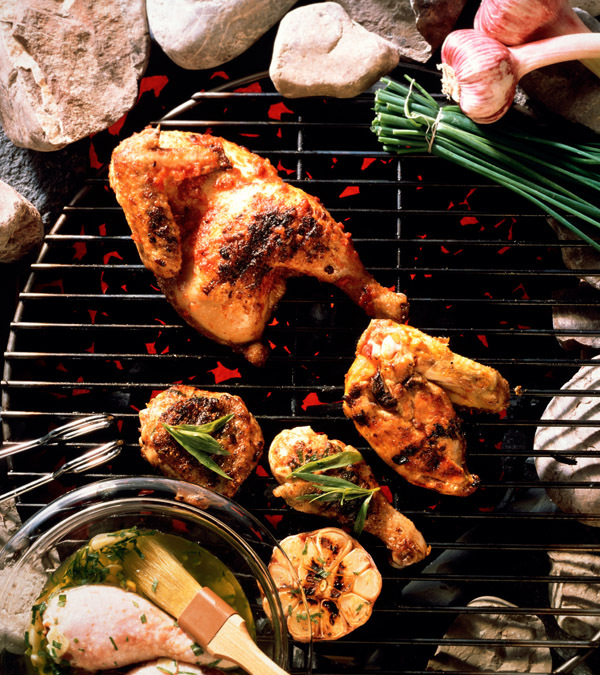 For grilling success, follow these basic guidelines. 1. Don’t shut off the grill when you’re done grilling. While it’s still hot, let it burn! All those leftovers on the rack will soon be toast. 2. Thoroughly brush off any charred remains. 3. The next time you barbeque, apply a layer of nonstick cooking spray to the cold rack, and you’re ready to go. Pour the briquettes into the grill and pile them high to light. This will help cut down on the need for lighter fluid. Light coals 30 minutes before grilling. To test if the coals are ready, hold your hand five inches over the fire. If you can only hold it there for a few seconds, the fire is ready to go. Use caution when placing your hand over the grill. The coals can be extremely hot! Direct or indirect? That’s the big question. There are two ways to grill: directly over the coals or charcoal at high temperatures with the coals spread two inches beyond the food area and with the lid open. This method sears the food to keep in natural juices. Or indirectly, where hot coals are pushed to the sides and a foil pan is placed between the coals and below the meat to catch juices. With the lid closed, the grill acts like an oven. The heat is applied to all sides of the food at once, cooking the food evenly throughout. Forks pierce the meat, releasing flavor and juices, which can cause the grill to flame. Instead, use tongs or a spatula. Gently lift up the corner of the meat to see if there are any lines from the grill rack. If so, it’s time to turn. Turn the meat just once. Turning too often can dry out even the best cut of beef. But if you don’t turn enough, your meat can cook unevenly – even burn. If the steak is thick (more than one inch) you may need to turn it a few times. Every time you turn the meat, move it to a different part of the grill.